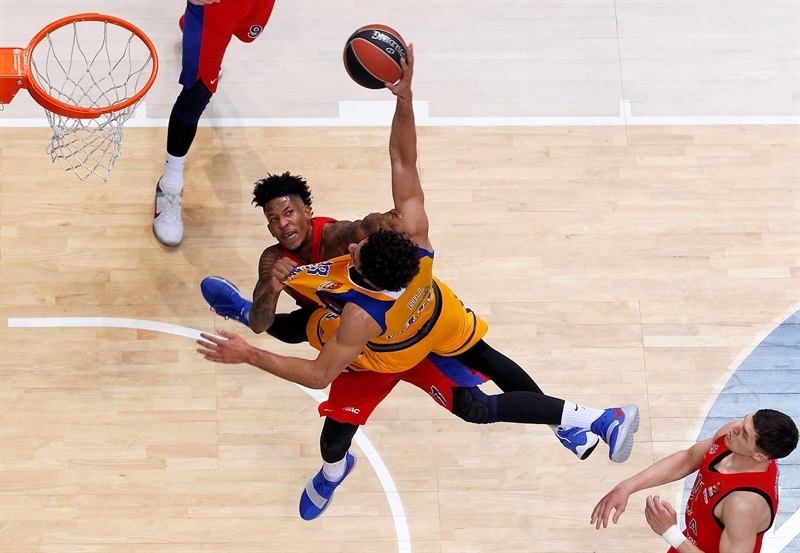 Khimki Moscow Region recorded its first-ever victory in the Turkish Airlines EuroLeague Playoffs on Wednesday by beating crosstown rival CSKA Moscow 79-73 at Arena Mytishchi to stay alive in their best-of-five series. 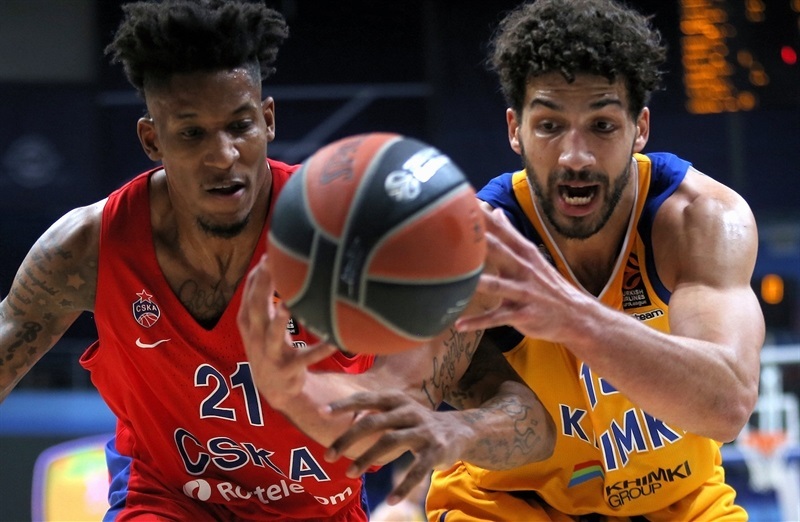 Khimki now trails CSKA 2-1 and will try to even the series when it hosts Game 4 on Friday; a CSKA win would eliminate Khimki and send CSKA to its seventh straight Final Four. 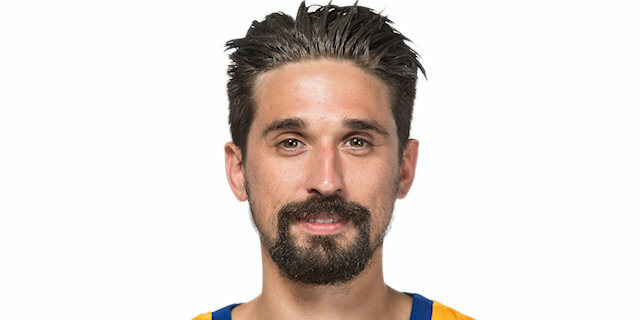 League-leading scorer Alexey Shved bounced back from a season-low 12 points in Game 2 by pumping in 27 points to lead the winners, while forward Anthony Gill shined with 22 points with just 1 missed field goal plus 7 rebounds. Tyler Honeycutt made his return from injury and played a key role on defense, too. Cory Higgins tied his career high with 26 points for CSKA, Othello Hunter posted 16 points and 12 rebounds and Sergio Rodriguez tallied 15 points and 8 assists in defeat. 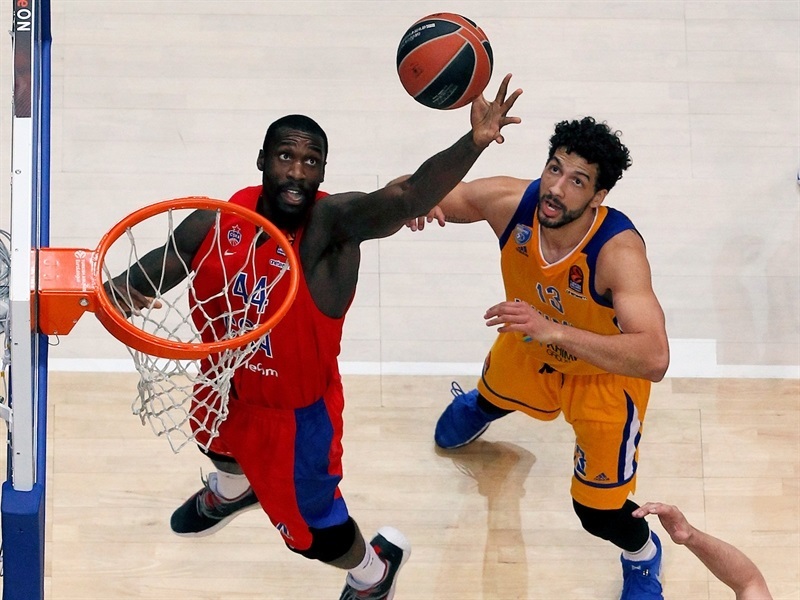 CSKA outrebounded Khimki 32-42, but committed 18 turnovers, which was its second-most all season. 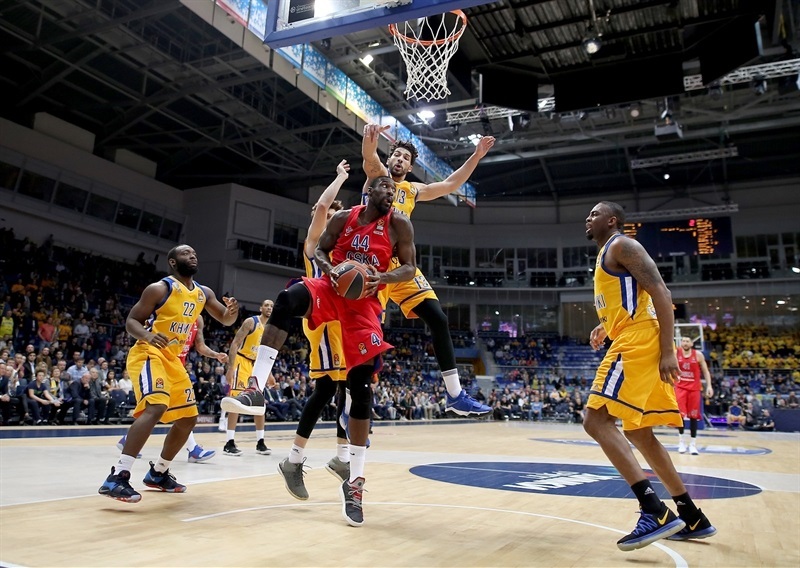 Hunter's offensive rebound, slam and foul highlighted a 0-5 CSKA start, while Khimki missed its first 5 shots. More than two and a half minutes passed before Shved got the hosts on the scoreboard. Shved added a three-pointer and Gill converted a tough three-point play to give Khimki its first lead, 8-7. 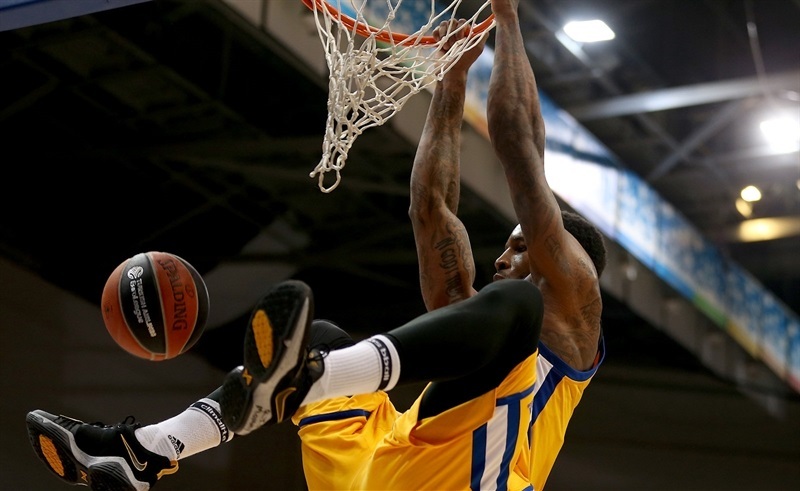 Baskets by Charles Jenkins and Malcolm Thomas helped Khimki extend the lead and Shved's second triple of the quarter made it 17-11. Leo Westermann free throws and Higgins's block and layup drew CSKA within 17-15 after 10 minutes. A three-point play by Gill and Honeycutt's ankle-breaking move and jumper extended the lead to 7. Will Clyburn scored for CSKA, but Egor Vialtsev nailed a three-pointer and a pair of free throws for a double-digit lead, 27-17. 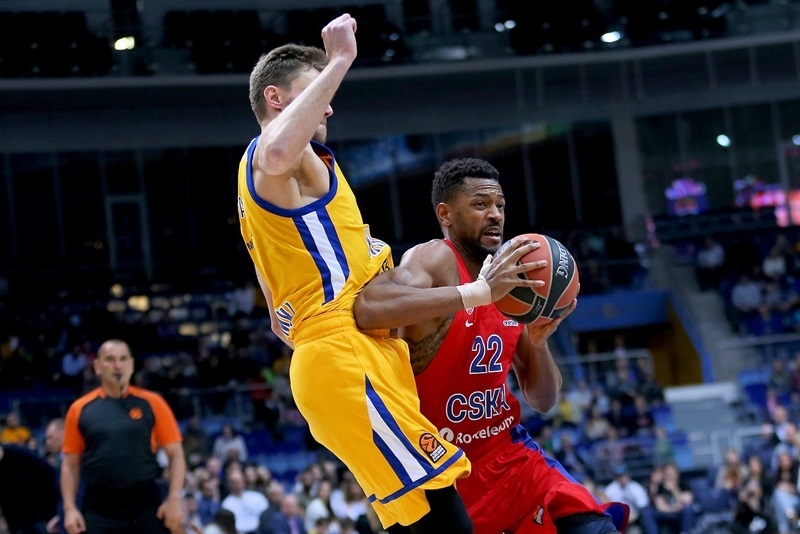 Higgins and Hunter halved the CSKA deficit, though Thomas Robinson kept Khimki in control. The trend continued with a basket each – in order – for Hunter, Higgins and Robinson. Rodriguez connected from downtown for his first points and soon Higgins's reverse layup on an inbounds play tied the game at 37-37. Sergey Monia sank a three to give Khimki breathing room, however Rodriguez responded with a step-back triple to knot the game. Shved sank free throws for a 44-42 Khimki edge at the break. Higgins knocked down an open three from the corner two minutes into the second half to give CSKA the lead, 46-47. He added another from downtown to silence the once raucous arena. Hunter added a jumper to make it 48-52 midway through the third quarter. 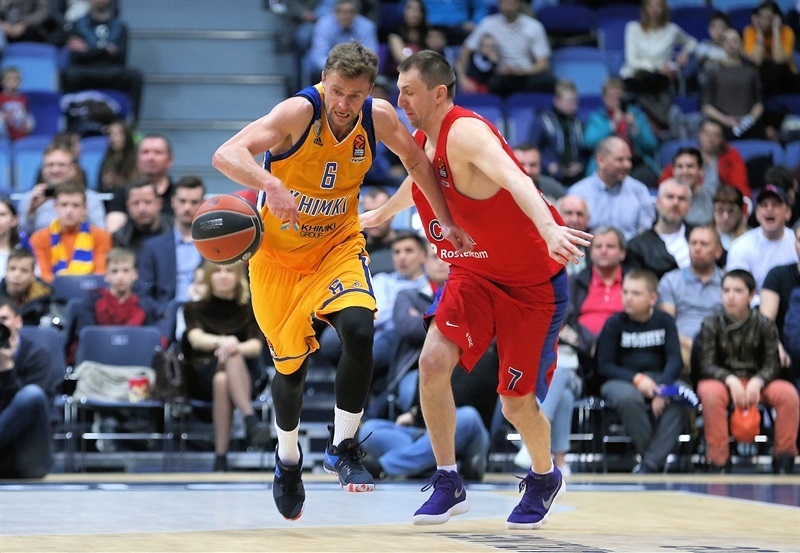 Shved scored twice before a put-back by Gill pushed Khimki ahead 56-55. Baskets by Higgins and Shved in the final minute of the third quarter ended it at 60-57. Gill started the fourth quarter with a slam and Robinson dunked too for an 8-point lead. Clyburn stepped up with a pair of baskets and Hunter also scored 4 points in a 0-8 run to tie the game at 65-65. Gill drained a triple on the ensuing play and – after neither side scored for nearly two minutes – Honeycutt beat the shot clock with a long three for a 71-65 lead. 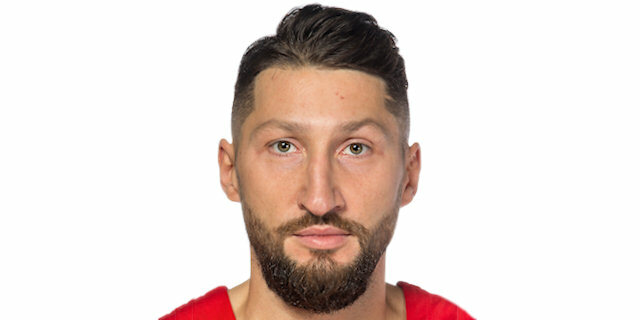 Gill added another triple before Rodriguez ended CSKA’s drought. Free throws by Rodriguez and Clyburn drew CSKA withinn74-70 with two minutes to play. Shved made a tough layup with 26 seconds left that all but sealed the game. 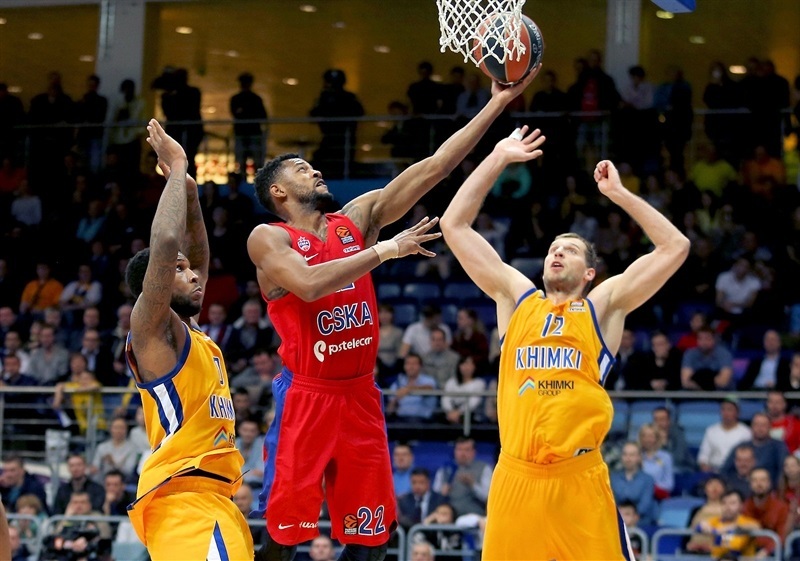 Rodriguez free throws gave CSKA hope, but Charles Jenkins iced the Khimki win. "It’s very difficult, as I said at halftime, against this team, which is so talented and so experienced. You need to be [focused] for 40 minutes. Defensively we were very solid. That’s why CSKA scored less than 20 points from their average. It was important for us to defend well and to share the ball. Whatever we did, we had good open looks. On the other hand, we turned the ball over so many times. We were so stressed. We played under so much pressure; we wanted to win this game on our home court. Now we have to prepare for the next game." 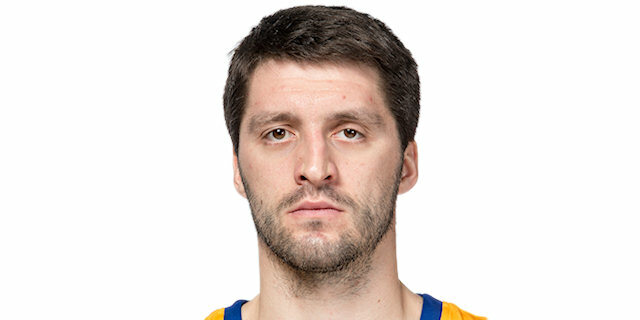 "I would like to congratulate Khimki. They were a better team today and they won. The outcome could have been different in the end if we had established a better defensive game and offensive game in the third quarter. We couldn’t close it out the way we wanted because we lost also that third quarter. We came out plus-4 in that one moment in that period, but as I said, overall they were the better team. We were not making shots, open looks, layups under the basket. We missed a lot of opportunities. 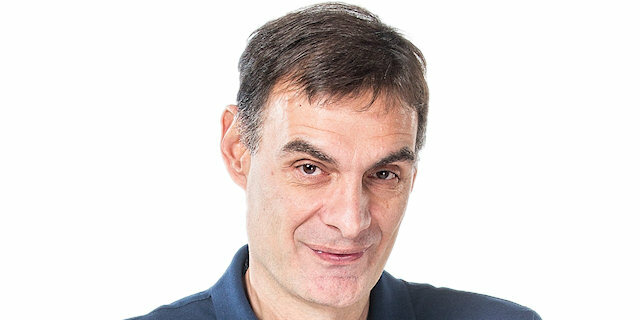 It’s 2-1. We have to come to the next game more wise, more prepared for what is required to beat Khimki on the road." "We fought hard on rebounds, trying to control that area as well as defense. That was the key, I think, defense and rebounds. In the second quarter they caught us with too many offensive rebounds, but we were still fighting, staying together. Now it's 2-1 and we have one more game at home. That's it. In such a type of a game there is a lot of pressure, intensity and sometimes we lost our focus. But by staying together and keeping fighting we were able to overcome that. 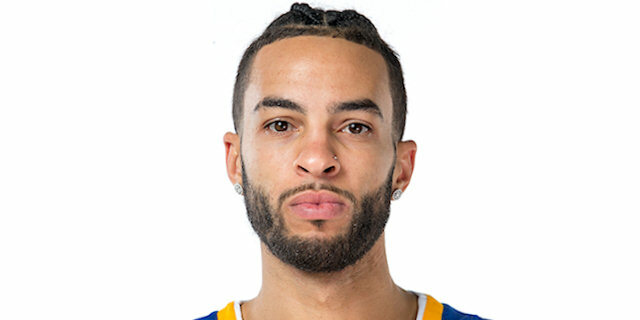 Tyler [Honeycutt] is a good player, especially with his athletic abilities. 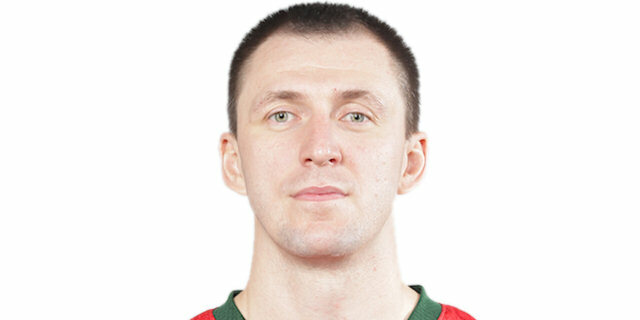 He helped us in rebounding, on shooting and defensively. It's huge having him. In the end he hit a clutch three-pointer, so it was nice we have such great players on the roster. It's good to have him back." "I think, the key was rebounding. In the first game we lost by a margin of 15 rebounds and that hurt us, especially mentally. Coming back I gave the team many things, I mean rebounds and also having an opportunity to make a crucial three at the end that keep us in the lead. We kept our spirits high in the game. We knew they were gonna fight back in the game. It's not over yet; we have another game. We know we can compete with them, so it's a matter of us giving the effort and energy so it's a win. I felt good. I had only two or three practices [with the team]. It's not what I want to be, but I know it's now or never. I'm trying to take care of my body as much as possible. Actually, I felt pretty good today. I didn't expect to play so many minutes, but I'm glad I was able to." "It was an important game for us and we played together as a team. The first two games we played, the score was close. We tried to play the same way here with our fans and they really helped us; of course it’s easier at home. Now we will try to win the next one. We have one day off and then an important game. 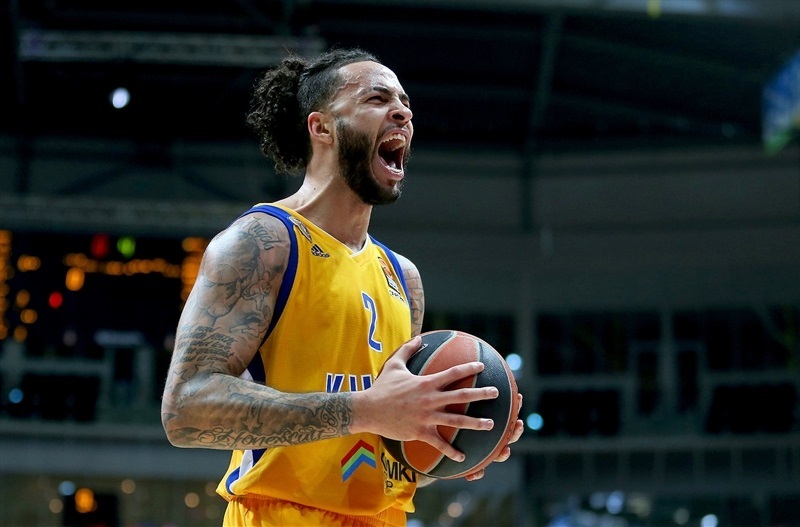 Tyler Honeycutt is back; he grabbed important rebounds and maybe that’s why we won." 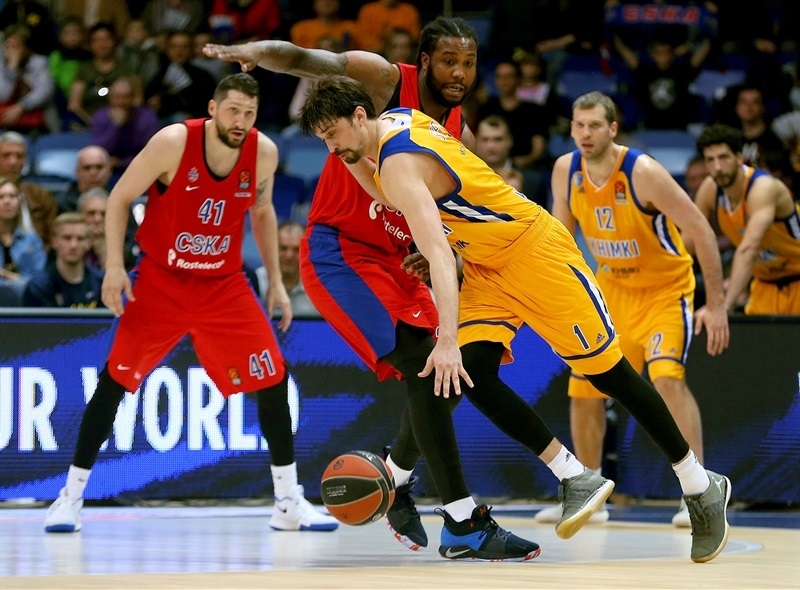 "Khimki played good defense tonight, winning loose balls. Their offense was also effective. We had our mistakes and did not make shots that we usually make. We will take it as a lesson." "It was obvious that they were very seriously dedicated to this game, they were fighting for every loose ball. We have to come to the next game with a very aggressive mindset. As our coach said before this game, we have to treat it as a final, to be hungry."